What does a street legal scooter mean? Street legal means the vehicles that can be ridden on the street legally. This implies a street legal vehicle meets all the requirements determined by the authorities to be allowed on public roads. For instance, the vehicle should have specific configurations of lights, signal lights and safety equipment to be compliant with the safety standards. Figuring out whether you need a license to operate your electric scooter on a public road is not that simple and straightforward you may hope. However, if you are riding a street legal electric scooter that looks like a gas powered scooter, it might be difficult to convince your local policeman that fits the legal definition for a bicycle. You may know several cases of people getting fined for driving these vehicles without a license, even though it’s legitimate as per the law. The state of Texas defines an electric bike as a device which is designed to be propelled by an electric motor exclusively or combining with human power. The electric bike can’t attain a speed of more than 20mph in electric-only mode. Electric bikes may not weigh more than 100lbs. There’re no licensing and registration requirements for electric bikes. The department or a local authority may not prohibit riding of an electric scooter on a highway that is used primarily by motor-operated vehicles. ·At least two wheels while contacting with the ground during operation. A motor operated scooter may be operated on a street or highway for which the speed limit is 35 mph or less. Traffic laws that apply to electric bikes apply to motor operated scooters. The operator should obey the general traffic laws that the operator should obey like the speed limit; signal turns etc. 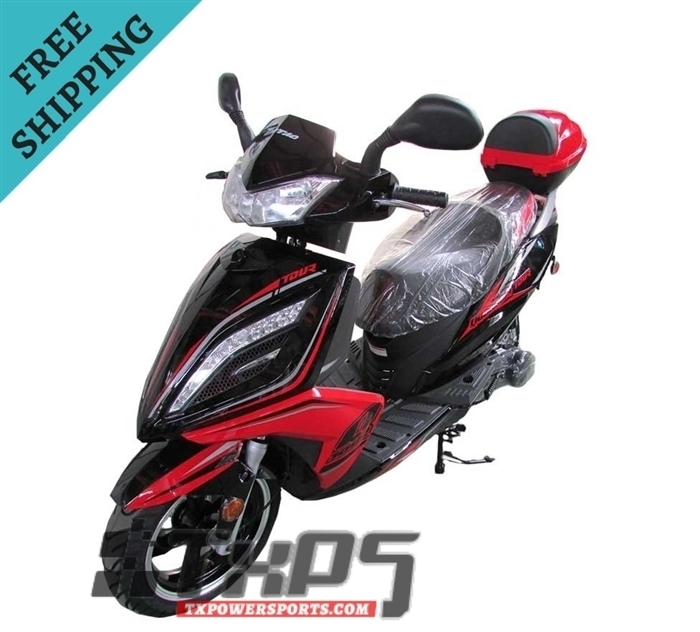 You don’t need safety inspection, driver’s license, insurance or registration to operate an electric scooter with up to 750W motor. If you are planning on taking an electric scooter on the road, it’s highly recommended that you should familiarize with any local or municipal legislation. However, you should know whether your scooter is road ready. If you’ve somehow managed to clear the confusion about whether you are allowed to take your street legal scooter on the road, let’s talk about whether you should do it. Riding a small, toy-like electric powered scooter is not allowed on the road and for a good reason. They are just not safe, sturdy and fast. 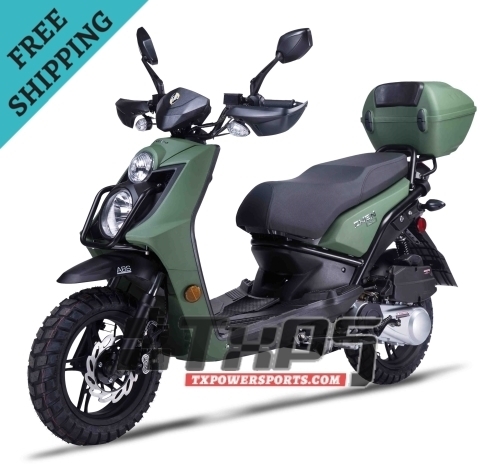 Unlike smaller electric scooters that are only designed for recreation, roadworthy scooters should be sturdy and powerful enough. Therefore, they can keep up with the traffic on the types of roads it travels along. A street legal scooter should be equipped with right tires, suspension system and steering for road driving and specific safety features like review mirrors, lights, turn signals, horns – the requirements may vary from a state to another. When you are riding your electric scooter, you should obey the road rules. Regardless of the rules in states, it’s always suggested that you should always consider wearing a helmet. While you intend to invest in motorsports, make sure you work with the best in the business. Amigo Znen 2017 F35-50 49cc Street Legal Scooter is a right pick and is backed with one year warranty. Our street legal scooter has the USB port, halogen lights, trunk, abs, remote start, alarm, etc. 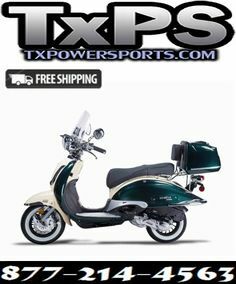 When you buy a street legal scooter from TX Powersports, you will receive free shipping. Once the scooter is delivered, we will provide you the MCO – Manufacturer Certification of Origin and the bill of sale so that you can register the scooter in your local DMV – Department of Motor Vehicle office. If you have questions or would like to know more about Amigo Znen 2017 F35-50 49cc Street Legal Scooter, contact us at 1-877-214-4563, and we’ll be happy to help!